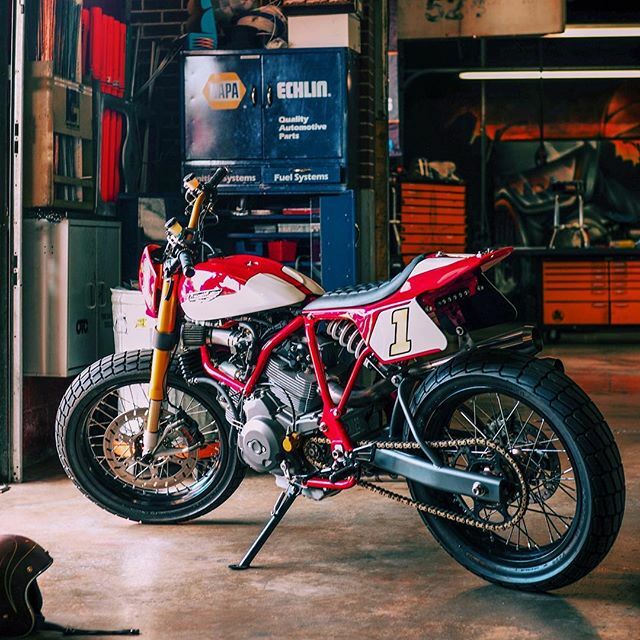 This is the fourth Morrison chassis that we have worked on at The Fuller Moto Shop. It is custom made for a 1940 Ford Georgia barn find pick-up. It features tubular independent front end, Wilwood disk brakes and a flaming river rack and pinion steering. Ridetech supplied the air-ride suspension which is adjustable, allowing the frame the ability to lower all the way to the ground. The wheels are mounted on aluminum light-weight sprint car wide-5 hubs, custom-fitted to the Morrison chassis. The bias-ply looking tires are actually Coker Firestone radials. 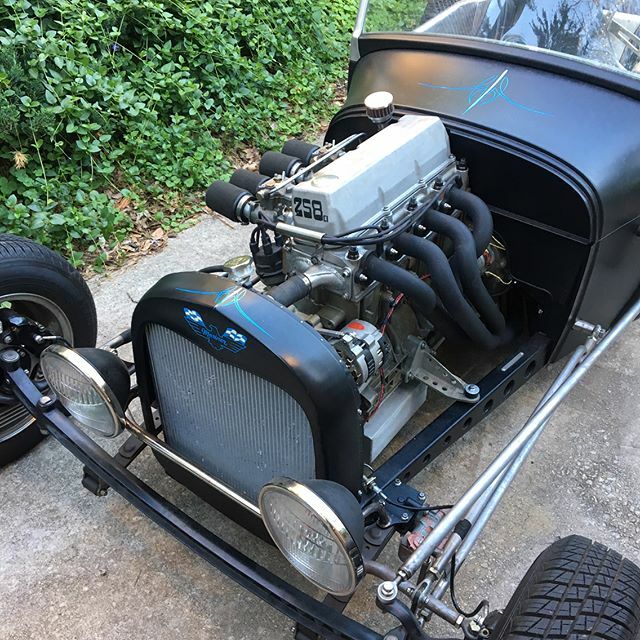 The motor is a 302 Ford with Edelbrock manifold and finned aluminum valve covers. It has a Holley 650 cfm carburetor. All of the bolts are ARP stainless 12 point. The exhaust is 2.5” Magnaflow Hot Rod Exhaust Kit. 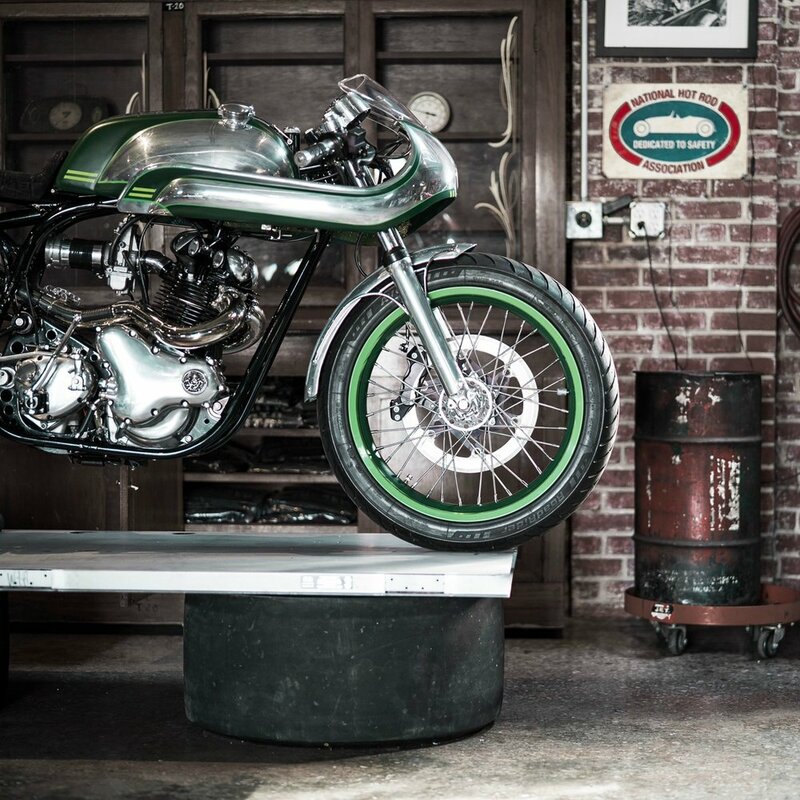 This is a kit that comes with all of the tubing, bins and hangers to build your own exhaust. The Magnaflow mufflers are stainless and sound perfect exiting the side of the bed just in front of the rear wheels. Wait until you see the aluminum bezel that rivets into the ’40 bed surrounding the Magnaflow stainless tips. In the rear we also used the Morrison chassis 4-bar kit to hold the Tiger magnesium quick change rear-end. The quick change rear-end is very light and allows you to change gear ratios easily. We have an eBay sourced aluminum gas tank feeding the Holley electric fuel pump. 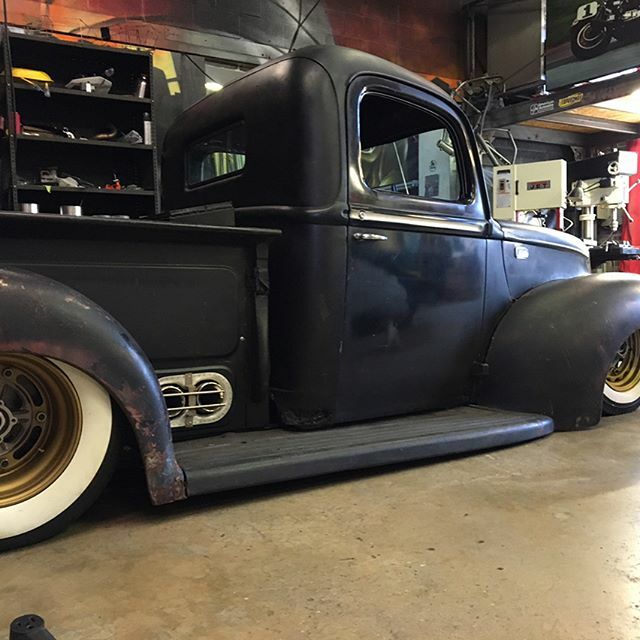 This 1940 Ford pick-up will be revealed at The SEMA Show (Specialty Equipment Market Association) this year inside the WyoTech booth #24181.